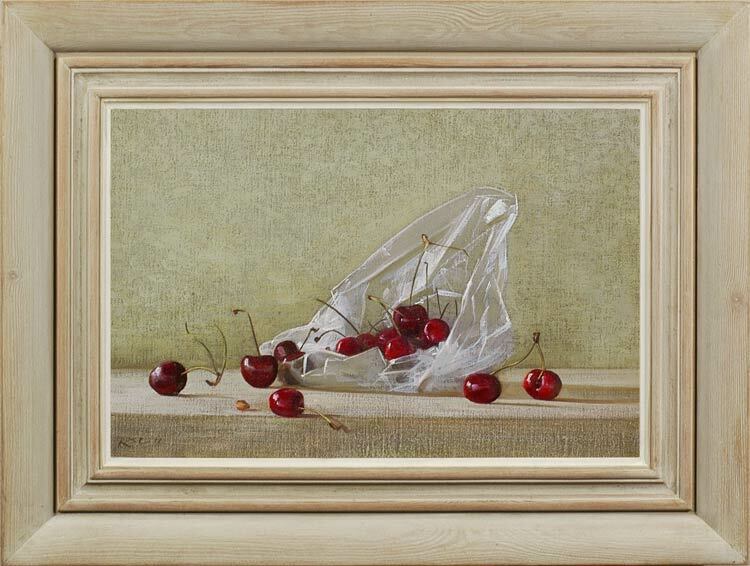 An astonishingly modern take on the archetypically traditional still life subject of fruit on a shelf, this work is raised to shimmeringly evanescent, poetic life by the quality of the painting. The use of a dark ground, with the silvery neutrals of the setting dragged over the tooth of the canvas, gives atmospheric depth to the resonant abstraction of these simple planes, and a diaphanous sheen to the sculptural lines of the plastic bag. A work which combines the elegant and the painterly with effortless grace.